This December the last volume in The Hobbit Trilogy will hit cinemas. It’s going to be big (what did you expect from a movie called The Battle of the Five Armies?). Although we look forward to this epic flick, it also marks the end of an era in the Middle-Earth universe. After sixteen years and six epic films, we will see the end of The Lord of the Rings and The Hobbit Trilogies. The director of these monster productions, Peter Jackson, gave the last word to one of the original members of the Fellowship. Billy Boyd, who played the loyal hobbit Pippin in The Lord of the Rings Trilogy, collaborated with Jackson, Fran Walsh and Phillipa Boyens to write “The Last Goodbye”. 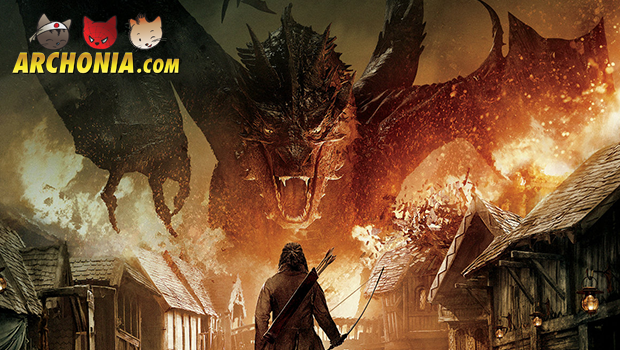 The song will play over the credits when The Hobbit: The Battle of the Five Armies opens in cinema this December. Post by Archonia – Your favorite Manga and Anime store. This is the epic closure of the adventures of Bilbo Baggins and the fellowship of dwarves. After re-conquering their homeland from the dragon Smaug, the fellowship unwittingly released a deadly force upon the world. Driven by his obsession to het his treasure back, Thorin Oakenshield is willing to sacrifice his honor and friendship, and forces Bilbo to an seemingly impossible and dangerous decision. But even greater dangers lurk in the dark. While the evil forces merge, the dwarfs, elves and men must decide: will they unite or be destroyed? Bilbo must fight for his live en that of his friends in this epic battle of the five armies, with the future of Middle-Earth at stake. Previous Post : A Silent Voice Manga Gets an Anime Adaptation Next Post : November News Overload!